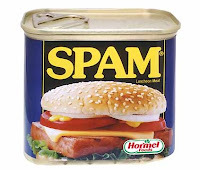 Email Ethics: Brands: B&S are SPAMMERS and you should know better! Brands: B&S are SPAMMERS and you should know better! I made a post a while ago, saying Brands should be more cautious about what lists they work with when they RENT email. I also made a post a couple of days ago about SPAMS I received from some B&S list. Guess what? I unsubscribed 3 times the day I made the post and I received a new mail for Bwin today. Of course I reported B&S to Spamcop and Signal-Spam (a french governmental SPAM complaint system) today. In another life I was a traffic buyer for a website and believe me when I launched a campaign (affiliate program, banner campaign or email DB rental) I always tried to get some information on who was the partner and how the campaign would be ran. - The reply-to email is a Gmail address !!!!!!! So once again: please, please, please check out who you work with, this kind of practices might one day kill the email marketing and will definitely harm your Brand's image.